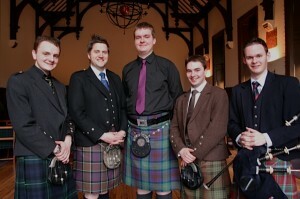 The annual conference was held in the Birnam hotel on 24/25 March. This proved a successful venue – easy transport links, excellent comfort and service, and a splendid conference hall with a high arched ceiling making for a first class pipe acoustic. And pipes were heard frequently – at the CoP Lecture, during some of the talks, at the dinner and at the set tunes demonstration, not to say in numerous bedrooms – that of reedmaker Andrew Frater seemed a popular stop. Alan Armstrong, Professor of Music at Mount Olive College North Carolina gave the first paper, on John Grant. Hitherto John Grant is best known as the Piobaireachd Society instructor who was dismissed after a short time, his pupils being unhappy, and as the man who set up a famous meeting in Edinburgh about the redundant A. Professor Armstrong told much more. Grant was author of “The Royal Collection of Piobaireachd”, “Piobaireachd, Its Origin and Construction”, joint author of “The Pipes of War” and author of “The Silver Chanter.” He spent his lifetime devoted to bagpipes, in particular to copying out calligrographically hundreds of piobaireachds from various sources and to composing some sixty four piobaireachds, mainly for notable personages of the day. Much of Grant’s work has been preserved – in Harvard University, and in the Clan Donald Centre in Armadale. Professor Armstrong is writing a book about him, and he has established a most informative website. 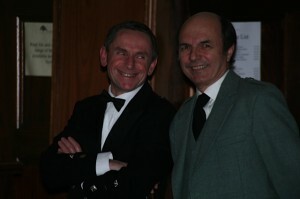 Patrick Molard has of recent years been studying tunes from the Campbell Canntaireachd. He talked of his findings, of how he came to understand the language, and of his growing admiration for that body of work which contains tunes both known and less known. Patrick played hiharintrahotra (V1 no 16), a glase (V 2 no 43), the White Wedder's Black Tail and hiharinhimtra (V1 no 28), all unpublished in staff notation, from the Canntaireachd, on his replica set of Donald MacDonald’s pipes, the originals having been discovered by PS member Rory Sinclair in Canada some years ago, and dating probably before 1810. The pipe sound was broad and easy on the ear, with undoubted carrying power, and pitched just below B flat. Patrick’s musicianship in the playing and singing of the tunes made complete sense of what might otherwise be obscure melodies. Later on during dinner he spoke of some beautiful touches in the CC in Lament for Donald of Laggan which seem well worth studying. 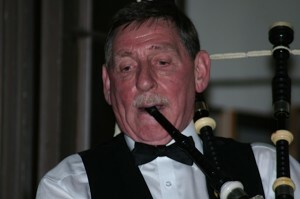 Dugald MacNeil spoke about the blind piper Archie MacNeill, the uncle of Seamus MacNeill. This talk was given in Dugald’s characteristic down to earth way, with numerous little asides such as “he liked cricket …….I don’t know why”. 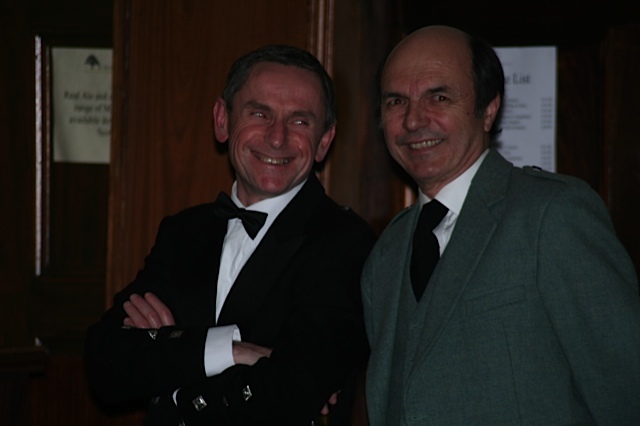 Archie MacNeill composed Donald MacLean’s Farewell to Oban, David Ross of Ross Hall and the Detroit Highlanders. Dugald talked of how he coped with his blindness by memorising the tram routes and colours in Glasgow, and of how, on his first visit to the College of Piping in Pitt Street, he requested silence as he counted the steps to the upstairs room, to be stored in his memory for future. 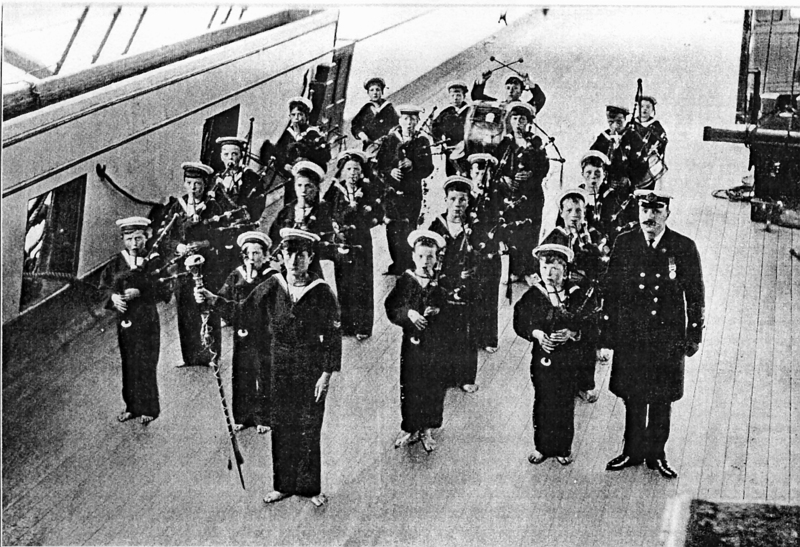 Dugald then went on to talk about the training ship Empress ML in Glasgow in the early 1900's. This provided an important social function by taking in boys from underpriveledged backgrounds and giving them the skills necessary for life, such as playing the bagpipes. 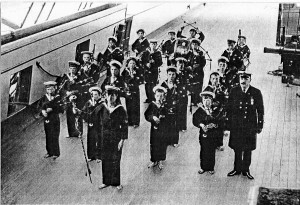 A photo of the pipe band on the ship showed the youngsters in smart uniform, each with a specially made small set of pipes, and not one wearing shoes. On Sunday morning it was a pleasure to have five students from the Royal Conservetoire of Scotland to demonstrate some of the set tunes. After introduction by course leader Finlay MacDonald we heard Gunn’s Salute ( James Henderson) Finger Lock (Andrew Grey) Lament for King George III ( Edward Seaman) Craigellachie (Chris Ross) and Daughter’s Lament (Graham Drummond). All performances were thoughtfully interpreted, and it is noteworthy that the students chose the big tunes from the Gold Medal and Senior lists rather than the Silver Medal tunes. Before the AGM Dugald MacNeill was presented with two whisky glasses engraved with the Piobaireachd Society crest, and something to put in them. This was in recognition of his years of unstinting work as honorary secretary. At the AGM the Hon Treasurer reported that the Society is in good heart, with some 480 members. Book sales have increased, but the Society is looking at electronic publishing so that collections will be able to be bought for tablets and computers. The Music Committee reported that as from this year the CPA and Judges will formally be asked for feedback on Set Tunes after they are issued. The purpose of this is to inform future choice of tunes. 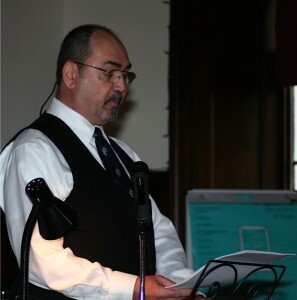 The President reported that the new website is well under way. There will be a page for each tune and the Society is looking for as many sound recordings as possible to complement those we have. After unanimous re-election of office bearers the meeting was closed. The full proceedings will be available in due course.